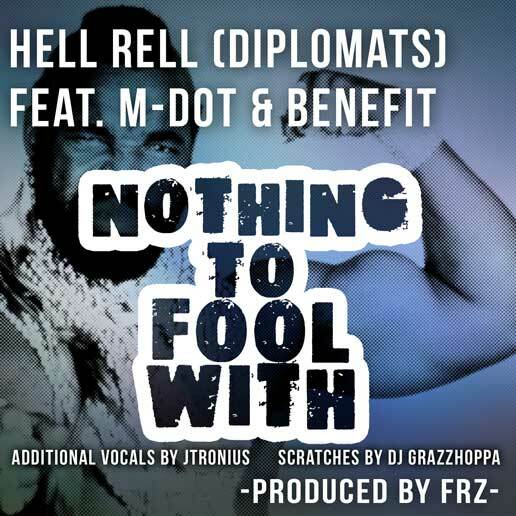 Dipset rhyme bully Hell Rell teams up with Boston native M-Dot and Springfield, Mass MC Benefit (recording for the first time since returning home from a long stretch) to bring you Nothing To Fool With. The hard hitting track has a soul ridden hook provided by another Boston dweller, Jtronius (who can be heard singing on Edo G's latest album). Scratches by turn table champion DJ Grazzhoppa.